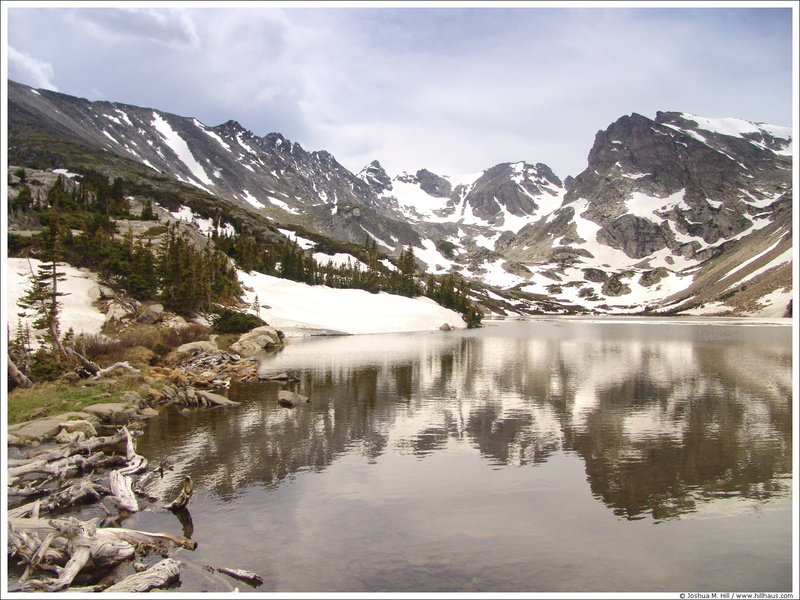 Categories: "Indian Peaks Wilderness" or "Lake Isabelle"
We were planning on backpacking to the Buchanan Pass area for the night, up to tree line from the western boundary of the Indian Peaks Wilderness. After 3 miles we stopped for rain and waited as lightning hit the surrounding peaks. The storm lasted 3 hours before we turned around and hiked out. There wasn't enough time left to hike to our destination and we wanted to hike through the wet forest instead of spending the remaining daylight in tents. It seemed like a good choice when we passed some firefighters on the way down. 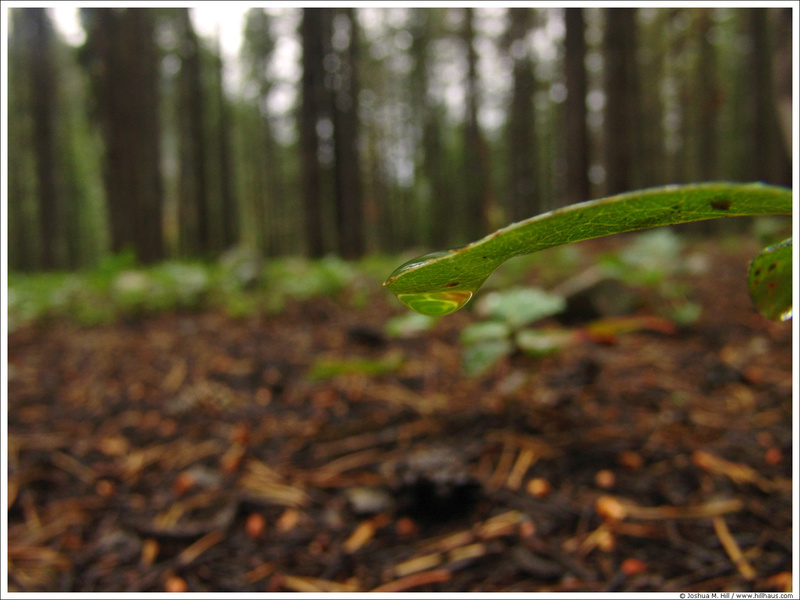 These lodgepole pines are hosts of the Mountain pine beetle. 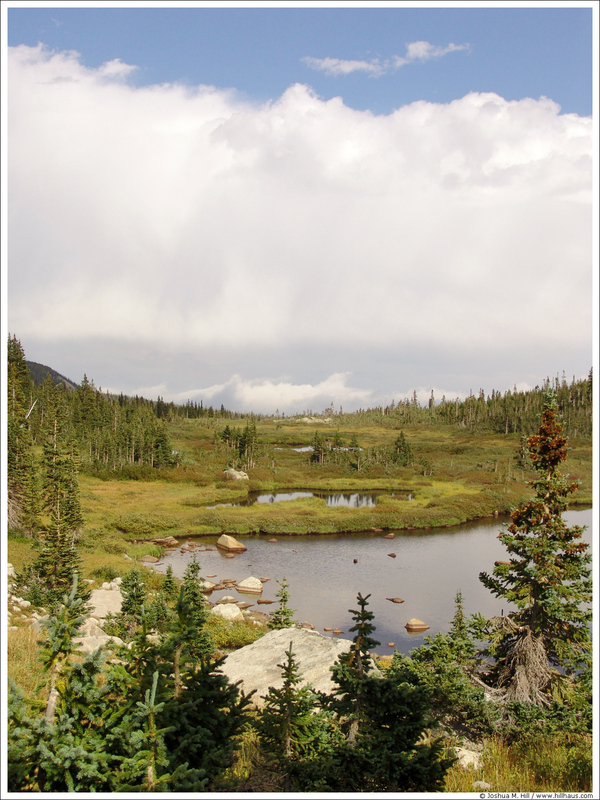 Entire forests and mountainsides in Colorado are slowly being cleared by the beetle. Even my hometown will experience its destruction within a few years. 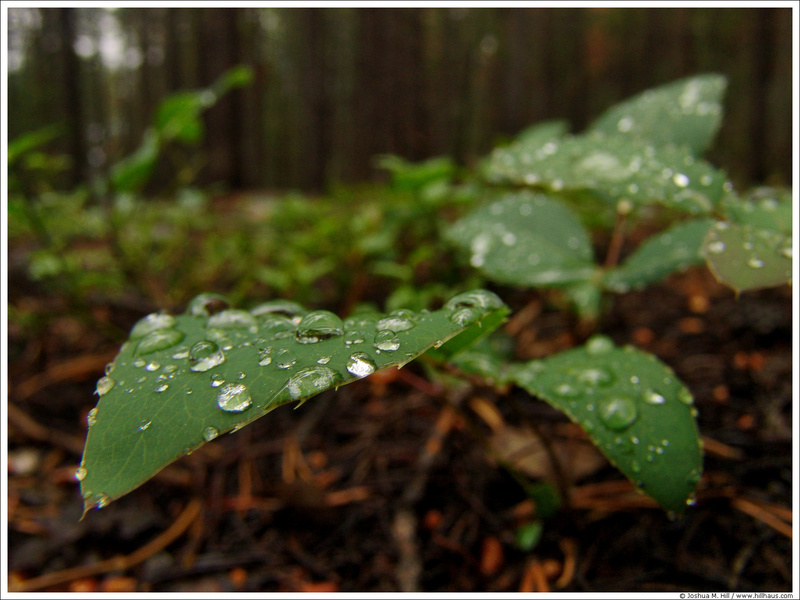 It prefers a diet of Lodgepole and Ponderosa pines. 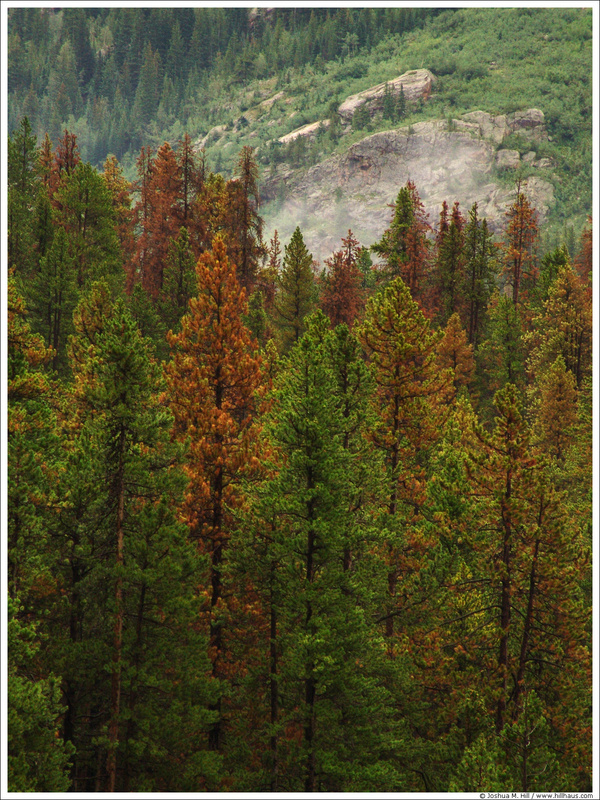 The Mountain pine beetle is a native species, and this is a natural process, so the only thing to do is enjoy the colors and be very careful with fire, gas and stoves. 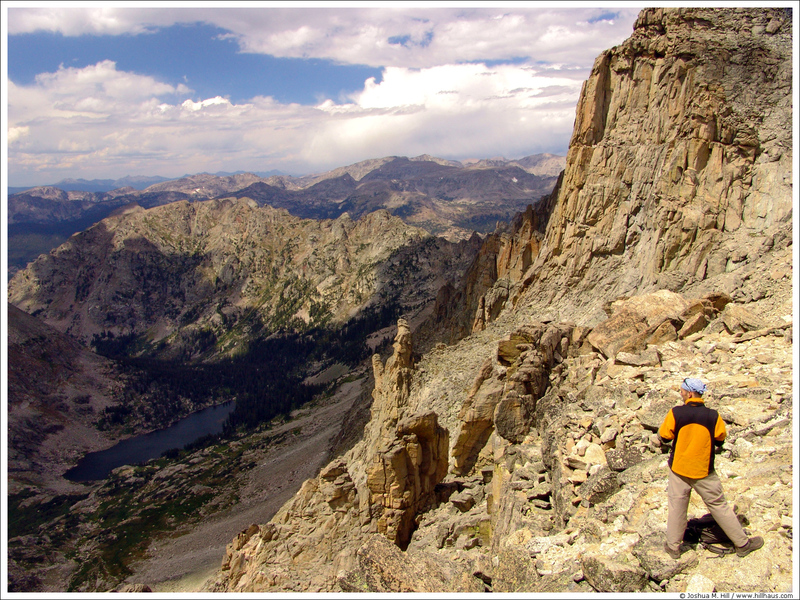 Campfires are already illegal during most of the backpacking season in most Colorado wilderness areas. We saw this cow early in our hike. 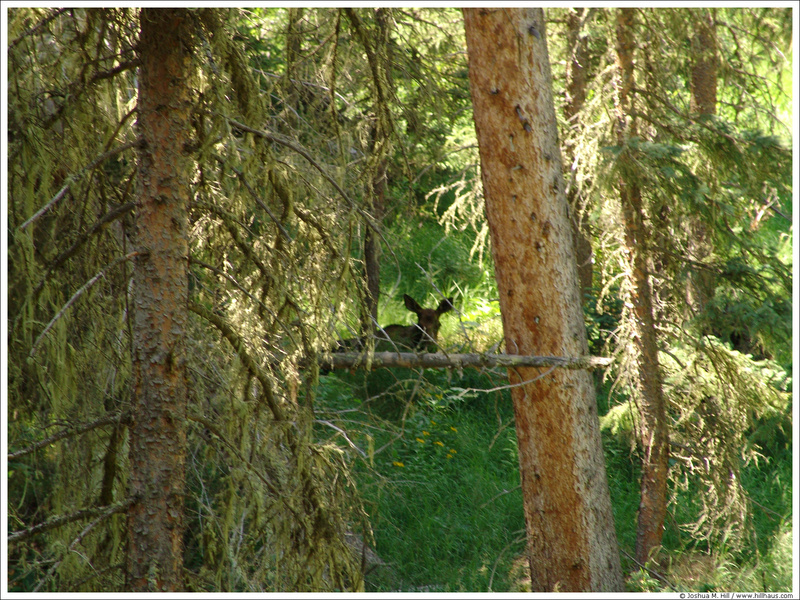 She was hiding from the morning sun and heat in a shaded, marshy valley. The sight of us didn't seem to bother her but we kept a good distance. 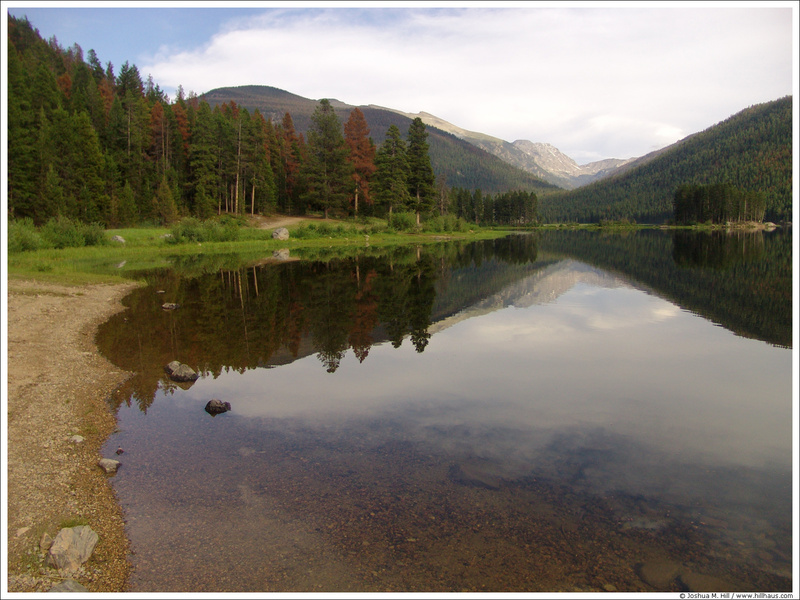 This is one of my favorite lakes in Colorado. 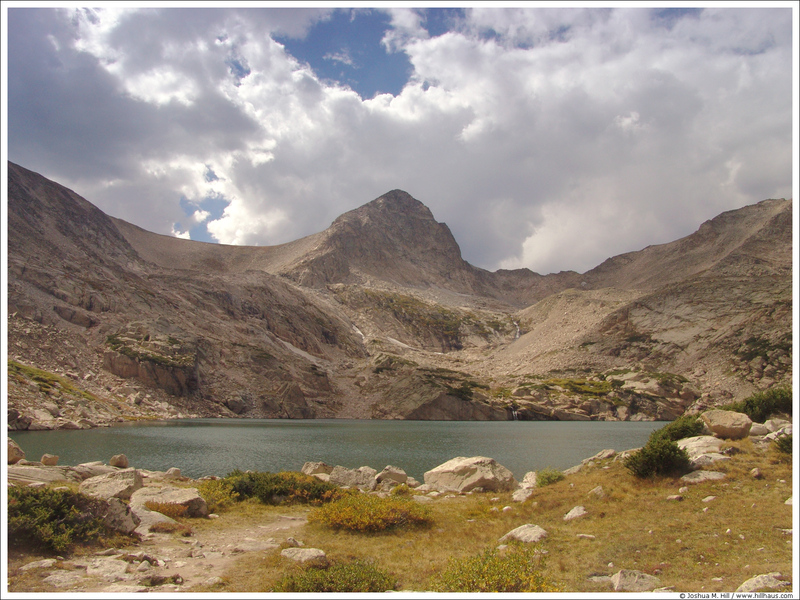 The trail is only a few miles and rather easy, but the lake is close to 11,000 feet above sea level and wildflowers dot the landscape throughout much of the summer. 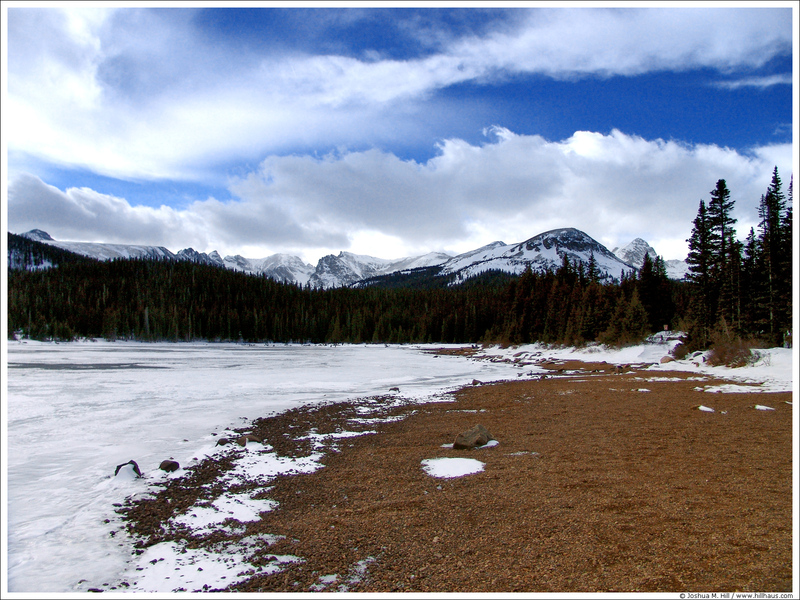 Looking at a snowstorm over the Indian Peaks from Brainard Lake. Sarah and I went snowshoeing for the first time this season, in snow that's already 3 feet deep.